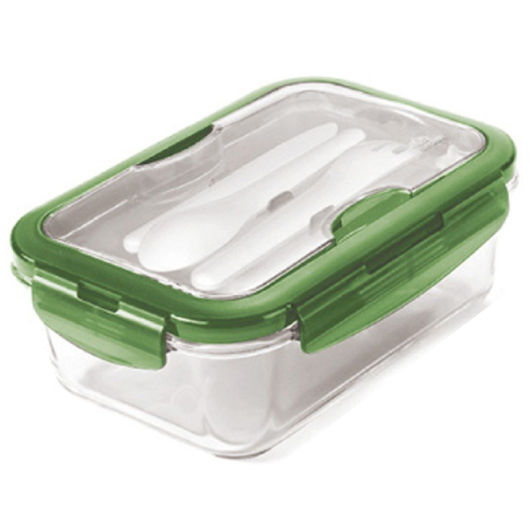 A premium glass lunch box that comes with cutlery. 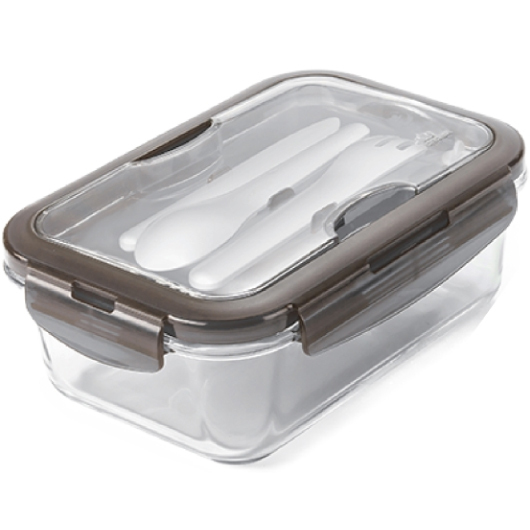 Make packing for your work lunch that much easier with some of these premium borosilicate glass lunch boxes. 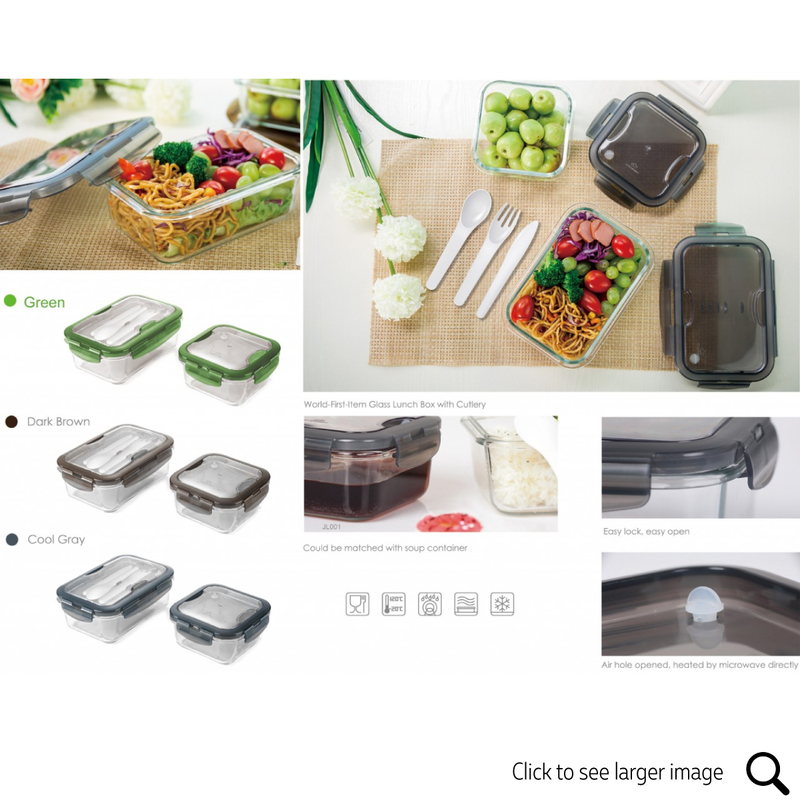 They each have a high quality full colour print of your logo and come with food grade cutlery (knife, fork, spoon). They're dishwasher safe and have easy lock and open latches as well as an air hole opening for when using with a microwave. Choose from a variety of 3 colours.